How do you know which white is right? 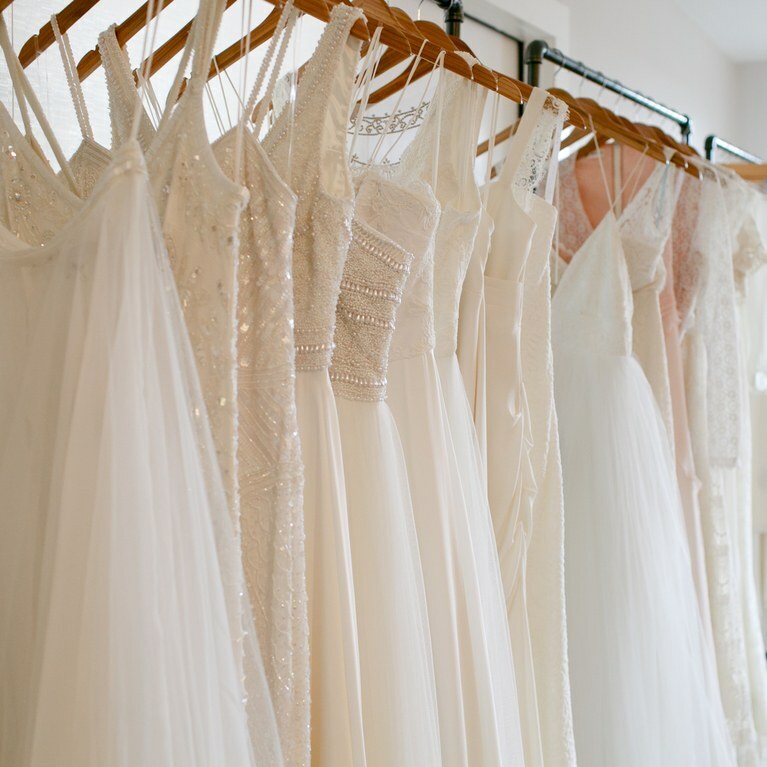 Wedding dresses come in hundreds of shades of white. In terms of general categories, you’ll find “diamond white,” also known as “silk white,” and light, medium, and dark ivory, but these vary quite a bit depending on the designer. Most gowns don’t actually come in pure white, which is good because it washes out all but the darkest skin tones. Sometimes the material also has an unbecoming bluish cast. Diamond white, which is a little creamier, is the most popular choice and looks great with most complexions. Light ivory is also fairly universally flattering. If you’re pale, medium to dark ivory can provide a nice contrast that will help brighten up the skin. Always try on dresses in a few different shades to determine what looks best on you. Ivory: This timeless shade lends itself nicely to vintage inspired gowns, particularly in lace. Diamond White. True white can be a difficult shade to match with skin tone (not to mention lighting for your bridal portraits). Diamond white hue is softer than pure white against the skin, and is a universally flattering choice for when you make your wedding dress color selection. Light Gold: Go for the gold with one of this season’s most popular wedding dress color trends. The glow of light gold makes it a richer colorway than standard ivory or champagne. Champagne: A champagne wedding dress is all about effortless sophistication. The color of the gown speaks for itself, a distinguished and elegant choice for your once-in-a-lifetime celebration! White: This pristine hue is best suited for organza or chiffon gowns, as these fabrics tend to be a bit more formal. Opt for embellishments, as embroidered lace and sparkling Swarovski crystals look stunning against this crisp colorway. Planning an outdoor wedding? A bright white gown also looks perfect against a beach sunset or candlelit garden. Alabaster: This rich and creamy shade is suitable for most skin colors.